Producers have today announced the postponement of the musical Hoagy Carmichael's Stardust Road. Lead producer Hoagy B. Carmichael said in a statement: "We are terribly saddened to reveal that due to issues with a potential investor we have had to cancel the run in London. It would have been irresponsible to everyone involved in the production to have moved ahead without this vital piece of financing in place. We are incredibly proud of the creative team and actors we cast and hope they can all continue the journey with us when we expect to remount the show in London in 2016. I am sorry to disappoint the 800 people who had already bought tickets to the show, but they should contact the St James Theatre for full refunds or exchanges." 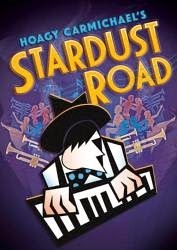 Stardust Road is a new musical being produced by Hoagy B Carmichael, Robert Mackintosh, and Hilary A Williams at the St James Theatre in Victoria from 27th October to 21st November with an official opening on 30th October 2015. It is based on the songs of Hoagy Carmichael who wrote four of the most-recorded American songs of all time: 'Stardust', 'Georgia on My Mind', 'The Nearness of You' and 'Heart and Soul' . 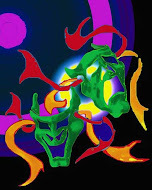 This new American musical uses music from the age of jazz, blues and ragtime in the 20s to the Golden Age of Hollywood featuring the songs "Up a Lazy River Two Sleepy People", "In The Cool, Cool, Cool of the Evening", "Old Buttermilk Sky", "Skylark", "Riverboat Shuffle", "Old Man Harlem", "Rockin' Chair", "Memphis in June", "The Nearness of You", "I Get Along Without You Very Well", "Huggin' and Chalkin'" with a live band and cast of singers and dancers.